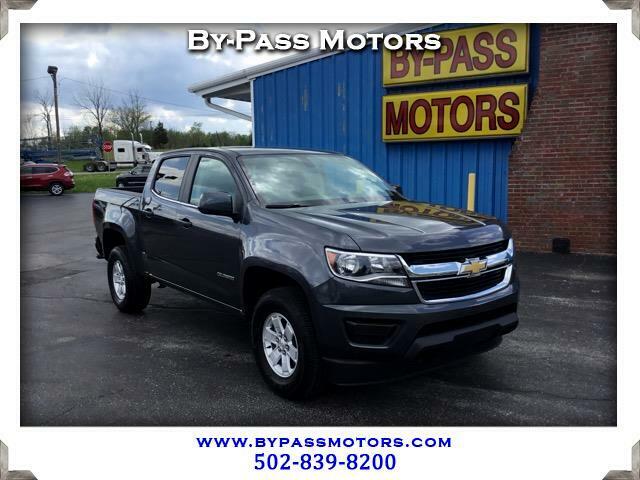 Used 2017 Chevrolet Colorado LS 4WD for Sale in Lawrenceburg KY 40342 By-Pass Motors, Inc. This is a ONE OWNER 4X4 V6 Crew Cab truck that is in BRAND NEW CONDITION!!! This Colorado comes with full factory warranty and has been fully serviced by us to insure that it needs nothing. When you open the door on the 16k mile truck you can see that the carpets are as fresh as they were new and it still has that new truck smell. Equipped with factory tow package, back-up camera, bluetooth, and SO MUCH MORE!!! This truck will not disappoint and will save you thousands from buying a new one. We have been in business since 1989 and have an A+ rating with the BBB!!! We look forward to seeing you in our showroom soon to take this sweet truck home with you!! !